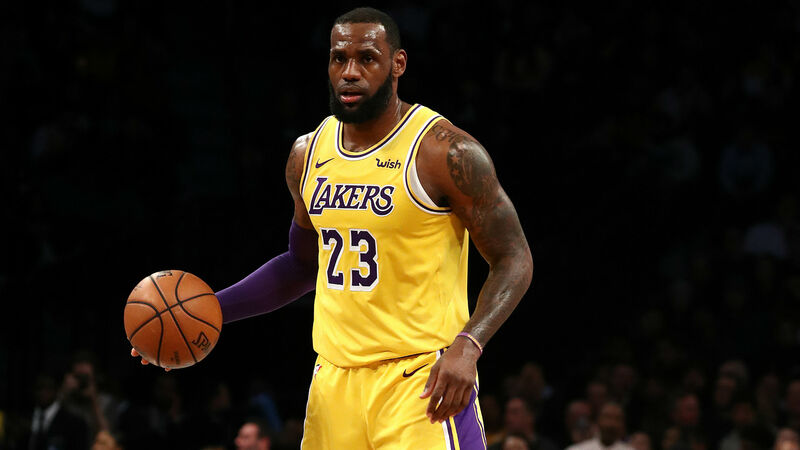 LeBron James is ready to try to lead the Los Angeles Lakers into the NBA postseason, with the superstar relishing the challenge. The Lakers (28-29) entered the All-Star break three games behind the Los Angeles Clippers for the eighth and final playoff spot in the Western Conference. But, three-time champion James – who has made 13 straight playoff appearances – said he is not panicking ahead of Thursday's clash with the Houston Rockets. "I'm an African-American kid from Akron, Ohio, [and from] a single-parent household. Basketball is nothing compared to how I made it out. "This is just basketball, and I know I'm ready for the challenge." James signed a four-year, $153.3million contract with the Lakers in the offseason. He is averaging 26.8 points, 8.6 rebounds and 7.6 assists in his first season in Los Angeles. "I'm all about being uncomfortable," James added. "I love being uncomfortable. I fall in love with being uncomfortable. This is another uncomfortable thing for me, and I love it."